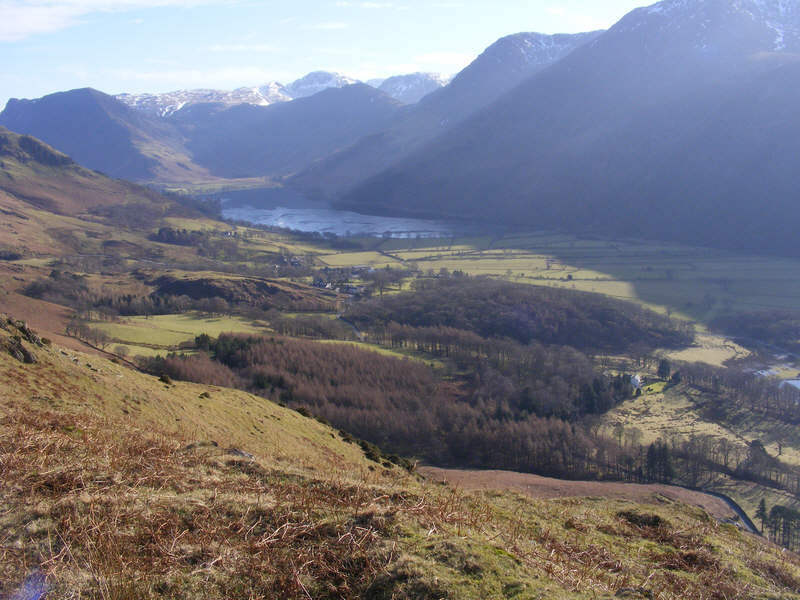 A view of the Buttermere valley from Low Bank, the ridge that ends at Rannerdale Knotts. The small village can just be made out in the middle of the picture, with the lake beyond. From this position the high fells beyond Haystacks come into sight.